Anders Brødsgaard was born in 1955 and studied piano from 1974 at the Funen Academy of Music with Rosalind Bevan as teacher. From 1979 he studied contemporary piano music with Elisabeth Klein in Copenhagen and piano at the Royal Danish Academy of Music with Anker Blyme. He studied composition at the Jutland Academy of Music with Karl Aage Rasmussen, Per Nørgård and Hans Abrahamsen, and music theory with Orla Vinther. 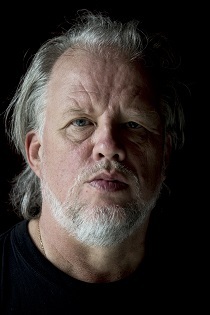 Anders Brødsgaard took part in the 'Ferienkurse' in Darmstadt in 1978 and 1982 and has participated in composition courses with Sven-David Sandström and Edison Denissov. Brødsgaard´s early works are inspired by serial composition techniques courtesy of mainly Karlheinz Stockhausen. In the 1980s, a more instrument-oriented and immediate style emerges. In later pieces he works with basic musical concepts like tonality and pulse, increasingly inspired by the post-pythagorian idea of a musical continuum between the musical parameters. New pieces still deal with rhythmic structures, for example Six Sax Examples (2006) and Monk´s Mixtures (2009) for orchestra. Anders Brødsgaard has received a series of Danish awards and honorary grants e.g. the Karen-Margrethe Brüel Grant, the Ambassador Emil Torp-Pedersen and Wife Foundation Grant, the Albani Grant, the Victor Rosschou Grant, the Aksel Agerby Memorial Grant, the Composers Association Grant, the Danish Arts Foundation’s Three-year Work Grant and the Carl Nielsen and Anne Marie Carl-Nielsen Grant.